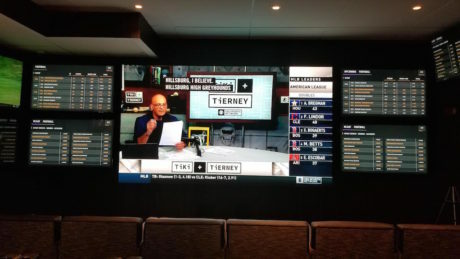 ATLANTIC CITY – When the Supreme Court ruled last spring that states could legalize sports gambling, Atlantic City’s Golden Nugget hotel and casino mobilized to add The Sportsbook off its Main Atrium. 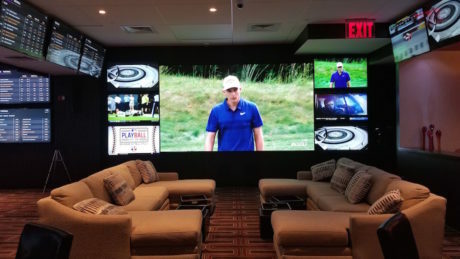 The new venue, which encourages guests to “wager, watch and win,” features four Absen LED walls driven by four Analog Way NeXtage 08 – 4K AV processors. Each NeXtage processor is dedicated to an Absen LED wall, which displays 16×9 1080p or 1080i HD content sourced from cable and satellite television feeds. The big screens give an up-close-and-personal look at sporting events for guests relaxing on comfy leather couches or enjoying drinks and food at tables scattered throughout the space.